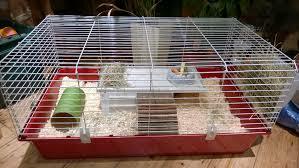 Should I cover my guinea pig cage at night? When thinking about whether I should cover my guinea pig cage there are some factors to consider. 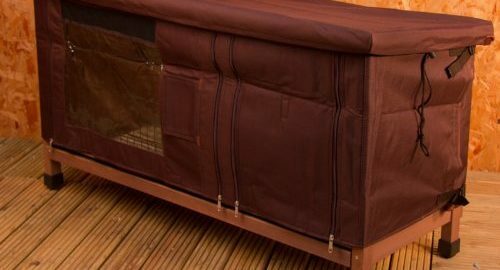 We know it can get pretty cold during the night time and you happen to keep your guinea pigs outside should a cover be applied to the cage at all to keep them warmer? It really depends on how cold it is. If it is below 5 degrees celcius or 41 degrees farenheit, then they really should be inside. But the next best thing would be a cover over the cage/hutch to keep them warmer. However, the cover shouldn’t be kept on the cage during the day time as the cage will need fresh air in to give it chance to air. Guinea pigs also need a chance to run around and so will nee access to their run. If is is a little warmer then a cover isn’t so necessary. Just make sure there is plenty of hay in their cage and they will be fine. How Often Should I Clean My Guinea Pigs Cage? 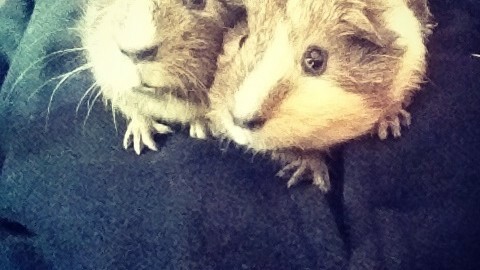 Cleaning out a piggies cage is probably the worst thing about owning guinea pigs but one of the most necessary. The times I go to clean out my piggies cage and it is the last thing I want to do and I think of a hours and other things that I’d rather do. However in terms of looking after them well it is vital that I do this, so this spurs me on to do it. 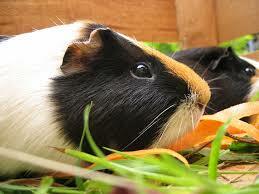 You may notice that guinea pigs tend to poop and pee a lot. When I first stopped using shavings in my guinea pigs cage, after realising the health problems they cause them, I was shocked at how sodden the newspaper would get after a few days. At first I thought this might just be a leak in the hutch roof of something, but I realised that actually they do pee an awful lot. I knew they pooped a great deal but pee tends to be absorbed by shavings. This meant that cleaning out the cage became more imperative and by cleaning out the cage I mean cleaning out the hay, newspaper and poop and replacing it with fresh material. Another factor was that the more piggies I had the more frequently I needed to clean it out. At present we have four guinea pigs and they need cleaning out thoroughly ever two days to keep their cage in a good state. However when we only had one guinea pig we used to clean them out weekly. But as we have added more, cleaning the cage has had to become more frequent and so we have had to clean it out more often. One guinea pig needed cleaning out weekly. Two Guinea pigs needed cleaning out every four days. Four guinea pigs need cleaning out every two days. Any more than four guinea pigs and I would do it once a day as there is just too much poop and pee in the cage for my liking. By doing this frequently, it keeps the cage nice and fresh for them and when they have fresh hay and newspaper laid down for them, I always find that our piggies really appreciate it which is why I try and do it every other day for them. The cost has gone up because we now have four guinea pigs, but to be honest meadow hay is really cheap and I really don’t mind buying lots of it for our piggies. They really enjoy sitting on it and eating it. I will still give it a deep clean once a month with disinfectant which involves taking them out of the cage and cleaning it out thoroughly. This is the method which works well for us. You may find a method that works for you and your guinea pigs, but this is a tried and tested method which works well and you are welcome to try it.